Oil production has become a primary feature of the economy of many countries around the world, especially since the advent of motor vehicles and their eventual ubiquity. Now there are over hundred oil producing nations. Some just barely cover their own needs and have to import the rest. Countries that do produce oil in astonishing amounts have become rich overnight in history and there are also a few that have gone bankrupt chasing after it. Wars are fought after oil. If anybody thinks that the American invasion in Iraq was anything more than a bid to control their oil resources then they are absolutely, stupendously out of touch with reality. Even now the countries that produce oil are going through internal strife, separatist violence and some had even seen civil was over it. The Middle East and the African nations in particular have been blessed with massive oil reserves. Some even depend on this non-homogeneous liquid to bring their economy much needed stability. If we are talking about Africa, most of the countries there have rich natural resources but few have the resources and distribution to make it into a profitable production. 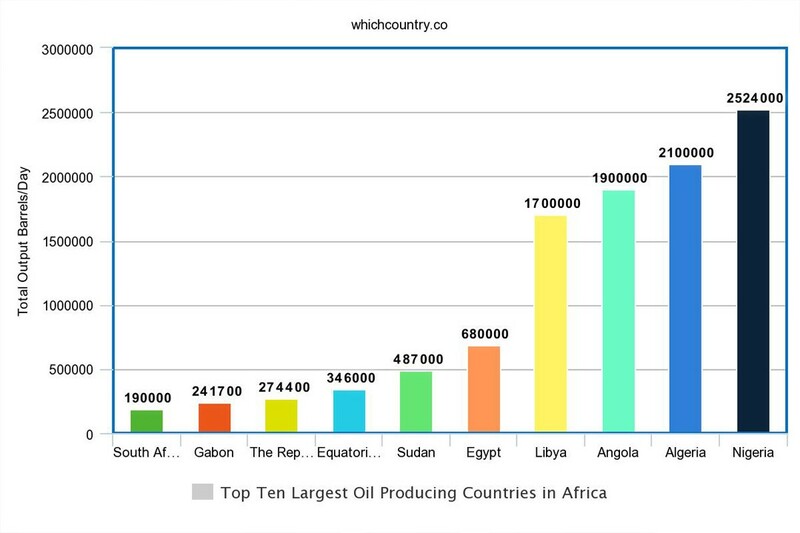 Below is a quick countdown of the top 10 oil producing countries in Africa. Q : Do you know which Country produces the most Oil in Africa continent? 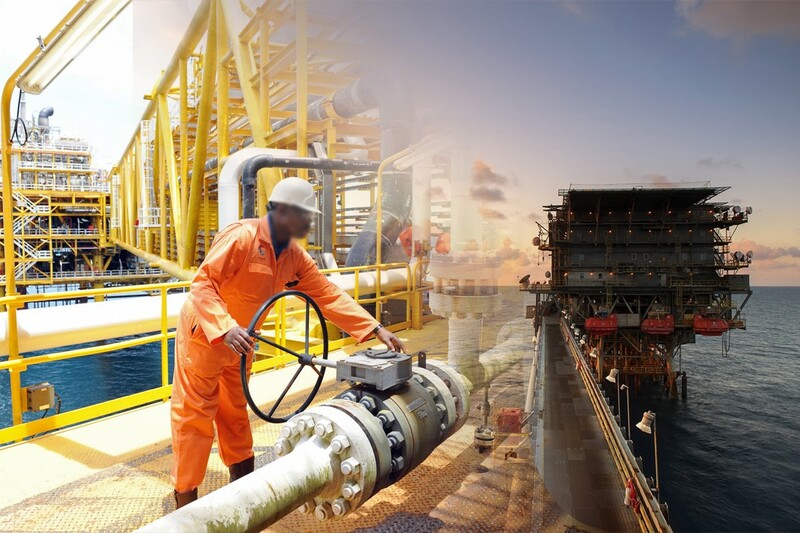 South Africa may not have the crude oil reserves of countries like Nigeria, Equatorial Guinea and Angola, but what they lack in crude substance them more than make up for in terms of production capability. Their large economy, the second-largest oil refinery in Africa and impeccable infrastructure means that they are able to produce high quality 160,000 barrels per day. 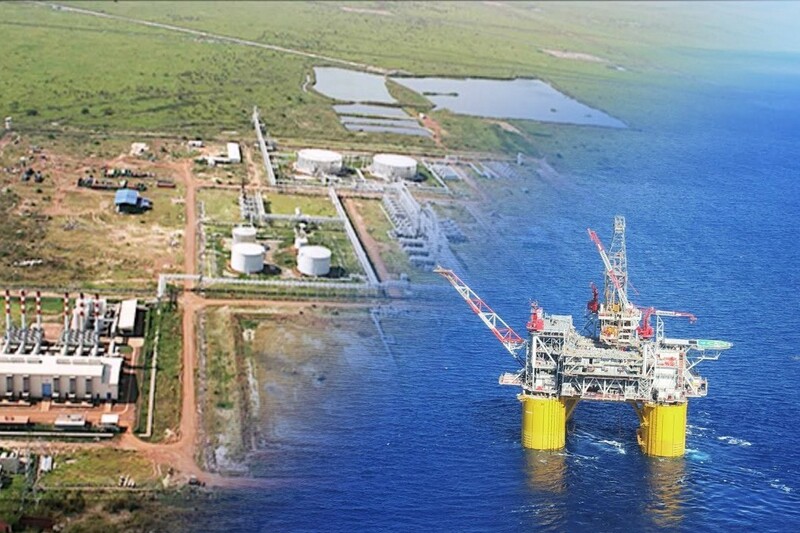 Gabon has been dealing with the maturing oil industry quite well but the decline in the oil production because of so many competitors means that they have to cut their barrels production as well. It is not good news for a small country like Gabon whose Oil revenue makes up more than half of the government’s revenue. Republic of Congo produces a lot of oil barrels per day and it accounts for 80% of the total government’s revenue. Congo will need to look into other methods of making revenue considering the maturing oil field. Even marred with constant strife and after the independence of South Sudan the two countries work together in order to stabilize their fledgling economy with oil production. The real reserves are actually in South Sudan but the newly independent country needs Sudan’s equipment and pipeline channels for distribution. It is a mutually beneficial relationship that is working well despite other issues between the two countries. Equatorial Guinea has massive crude oil reserves of 1.1 billion barrels compared to South Africa’s 15 million. If their system was more sophisticated their production would have been among the top 3 in Africa. As it stands, they are at number 6 in the list and even with that it accounts for 99% of their export earnings (Yikes!). Libya’s oil reserves are the largest in Africa with an astounding 48 billion barrels. Libya produces 525,000 barrels of oil per day. The country depends on it oil exports as it makes up for 95% of their exports. Egypt possesses the largest oil refinery capacity in Africa and despite its reserves being far less than Libya; it is still the largest non-OPEC oil producer in the continent. Egypt also possesses the most viable transit route for oil transport towards Europe and USA. Algeria has over 12 billion barrels in proven crude oil reserves. 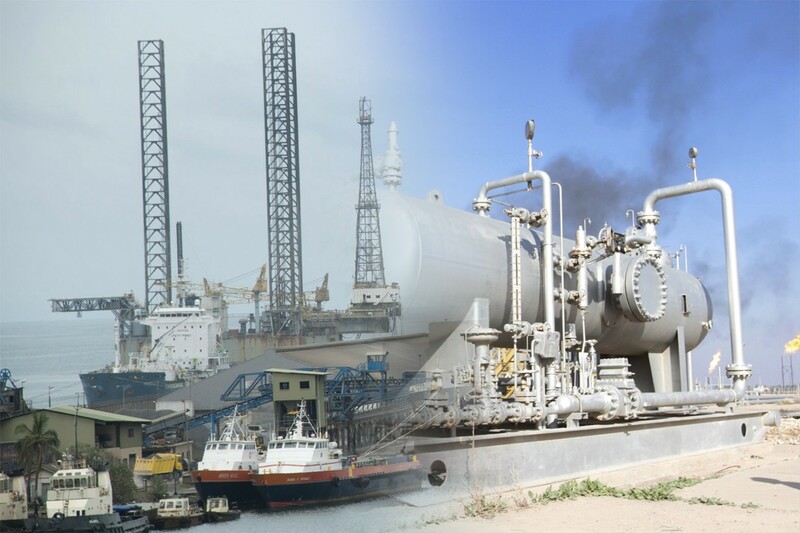 The country possesses the capability of shipping out 1.7 million barrels per day, which it did till the year 2014. Due to the maturing of oil industry that figure has gone down to 1.2 million barrels per day and it is likely to go even lower. 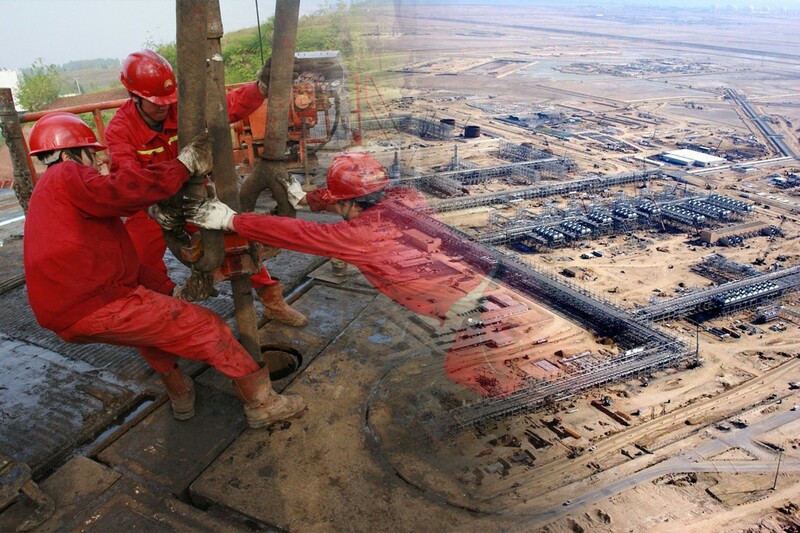 Angola is another country that has reduced its oil production in recent years when they were capable of shipping out 2 million barrels per day. Oil production accounts for 40% of Angola’s GDP which makes it its largest contributor. They are heavily reliant on their oil industry but it is still not as bad as some of the other countries above. The daily Oil production in Nigeria has suffered great hits as in its hay day the country used to produce almost 3 million barrels per day. The oil production in Nigeria has suffered there because of corruption, militancy and the decline of the industry itself. It is still however, the 13th largest oil producing country in the world and largest in Africa.